Have you been scouring the internet for used trucks? Well, Chevrolet recently announced that there’s a new incentive to owning an older Chevy truck… as if there wasn’t plenty of incentive already. A new endeavor by the company will help recognize those older Chevy pickups. Owners will unlock a number of exclusive products and opportunities if they’re eligible. If you don’t own a Chevy pickup, it shouldn’t be too hard for you to find a qualifying used truck. The brand recently unveiled their “Truck Legends” program, which will reward any owner of a Chevy truck with plus-100,000 miles on the odometer. In addition to lauding the longevity of the truck brand, the program is also intended to recognize the brand’s dedicated followers. The massive undertaking will initially begin in Texas, and will later unveil nationwide starting next year. You don’t even need to currently own a Chevy truck to be eligible! The brand will also recognize owners who have leased at least a pair of Chevrolet pickup trucks throughout their lives. Of course, we’re sure there aren’t many loyal Chevy fans who have given up their trusty pickups! All customers have to do is create a profile at ChevyTruckLegends.com. It takes no time at all to unlock a number of exclusive opportunities and some sweet schwag. A variety of memorabilia, including hats and decals. Chevrolet will also be teaming up with some of their top partners to send pickup owners on once-in-a-lifetime experiences. The company has already teased exclusive looks of upcoming Chevy vehicles, and they will also have opportunities to win front-row concert or MLB tickets. Which Used Truck Should You Choose? If you’re a Chevy lover or simply a pickup truck fan, you’ll certainly want to get in on this promotion. Fortunately, it shouldn’t be too hard to come across an applicable used truck. 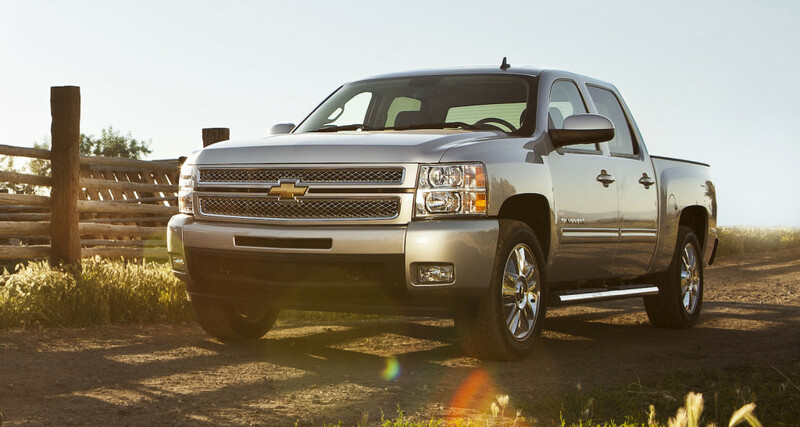 The brand recognizes the Silverado as one of the most dependable and longest-lasting pickups on the road. While the nameplate has been out since the early 2000s, there’s no denying that the mid-2000 model years helped push forth that sentiment. Plenty of drivers are still driving around their first generation Silverados, and you may not even notice the difference between a new pickup and a 10-year-old used truck! 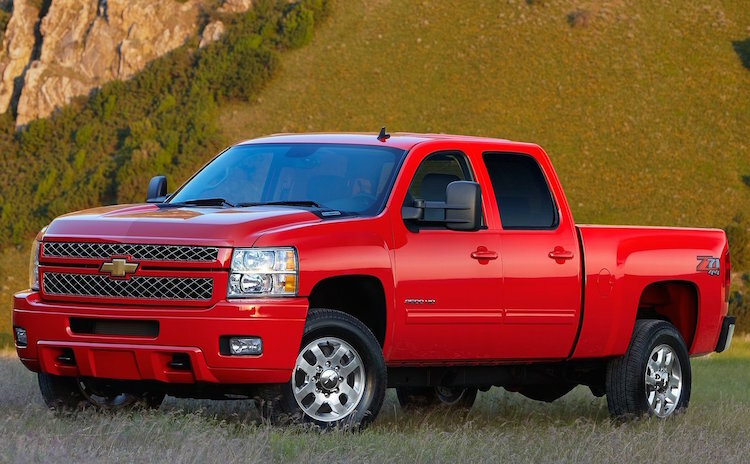 There’s a red pre-owned 2006 Silverado 2500HD sitting on DePaula’s lot, and that pickup is still kicking. Despite having 163,000 miles on the odometer, drivers can still count on the used truck’s incredible Vortex 6.0-liter V8 engine to get them through any driving predicament. Of course, the brand’s trustworthy and powerful four-wheel-drive drivetrain will also contribute to the pickup’s mightiness. Even if you don’t opt for this specific Silverado, you could still appreciate the trio of V8 engines (as well as the perfectly capable V6 option) available in these models. There are also a number of transmission options, and you’ll probably end up finding a pickup with either two- or four-wheel drive systems. In other words, you’ll certainly be able to find a used truck that fits your needs. While we’re all concerned with what’s happening under the hood, Chevy separated itself from the pack during the mid-2000s by offering one of the most comfortable and accommodating driving experiences out there. The Trailering Suspension Package will allow drivers to haul any cargo they may have out back, while the power steering and the anti-lock braking system will assure you can drive in the snowiest of days. The cabin is comfortable, too! The front dual zone air conditioning unit will assure that every occupant is content and comfy. Plus, passengers can trust the variety of safety options, including a front anti-roll bar, dual-front impact airbags, and four-wheel disc brakes. This truck would already be eligible for the “Truck Legends” program, so you won’t have to drive endlessly around the block to jack up the odometer and become eligible! We wouldn’t necessarily blame you if you prefer a newer pickup. Fortunately, the 2012 Silverado is an excellent choice. The vehicle features some of the best attributes of the second-generation, and you’ll be able to get the truck for an affordable price. Each of these engines is also incredibly fuel efficient (for a truck), offering 13 city/18 highway mile per gallon efficiency. You’re unlikely to find that fuel economy from another pickup. The vehicle also offers an unmatched towing capacity, as well as an extensive warranty, although it’s standing as a certified pre-owned vehicle should ease your mind. The vehicle was even named a 2010 Best Overall Value by Intellichoice. How could you go wrong? Best of all, you’re going to start finding excellent deals on 2012 models. With the pickup’s fifth birthday coming up, the price of the truck will surely start to drop. For example, there’s a 2012 Chevy Silverado 1500 sitting on DePaula’s lot for less than $23,000. This specific used truck truly offers it all. The vehicle includes a smooth four-speed automatic transmission, as well as a four-wheel-drive drivetrain. The silver truck may take awhile to get to that 100,000 threshold (there’s currently 51,260 miles on the odometer), but we’re sure you’ll get there in no time as you’re cruising around the city in your recently purchased used truck.